Although big cats are easy to find in Serengeti, the lion populations are shrinking almost everywhere in Africa. Habitat loss aggravates the effects of the old culprits, trophy hunting and poaching. 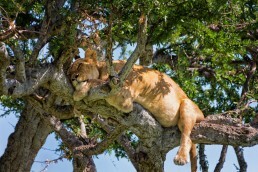 While Tanzania has still more lions than any other African country, the population has declined by 60% in two decades. 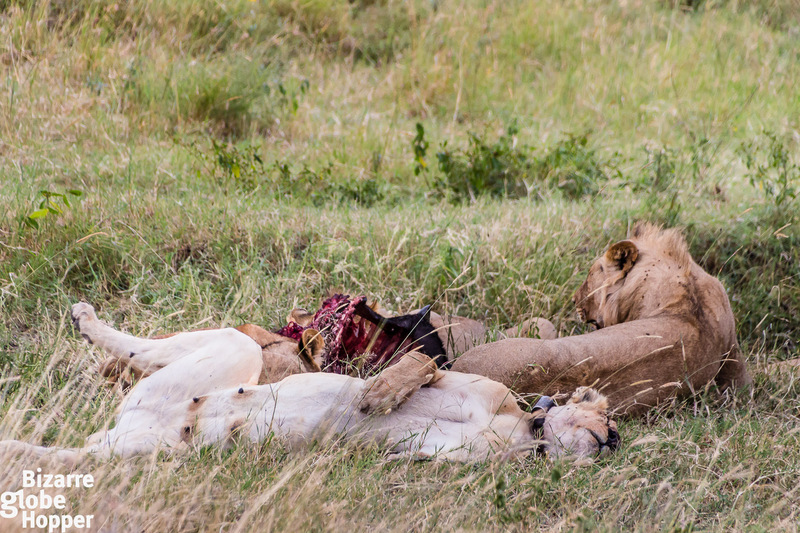 After two epic safaris in East Africa and one in Southern Africa, we feel the urge to share our concerns about lion conservation. Since we absolutely adore all the big cats, the recent studies and incidents have left us heartbroken. 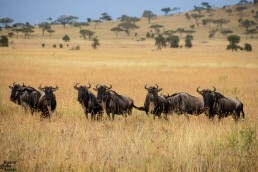 Our beloved Serengeti has long been the icon for lion conservation, but now its position is threatened. 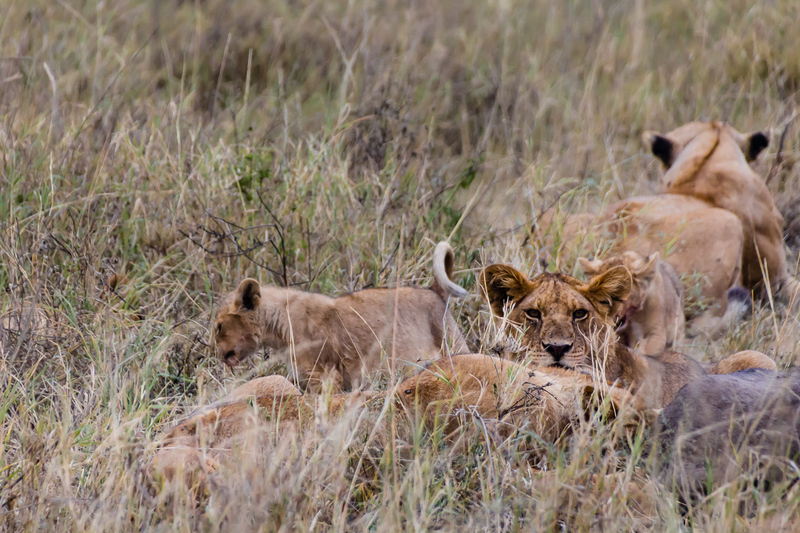 The scientists are predicting that lion populations are cutting to half in just two decades. According to the recent study, the steep decline will happen in the West, Central and East Africa. 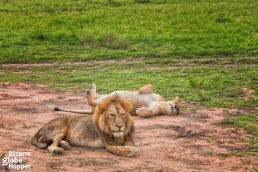 Only in South Africa, the lion populations might grow. Some populations are doomed to be wiped out entirely. 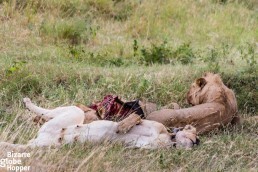 As lions are apex predators, the crash of populations will shake the entire ecosystem. The lion count in Western and Central Africa is already as low as 900, whereas the total number in Eastern and Southern Africa is said to be around 19 000. 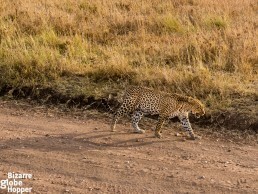 The savannah of East Africa have been the most legendary spot for watching the big cats in their natural habitat. So what leads to these depressing estimations, and what in earth is happening in East Africa? Let’s face it: lion’s only predator is human. People are banishing lions from their habitats and killing them – for sport, money and retribution. 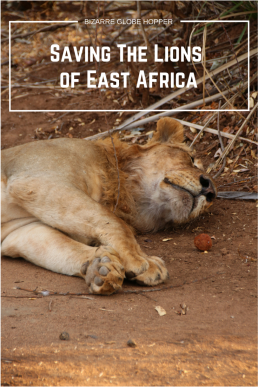 East Africa’s growing human population poses increased risks to all wildlife, including lions. Agriculture, roads, and settlements narrow down wilderness bringing lions closer to farmers and herders. The same blames dwindle the natural prey, causing lion attacks on livestock and human reprisals on lions. Tanzania is known as a land of conservation and famed national parks, yet it’s also the most hyped destination for sport hunters, dubbed as ”the jewel of African hunting”. Only South Africa rates higher in trophy hunting, but in South Africa majority of the hunted lions are bred in captivity. 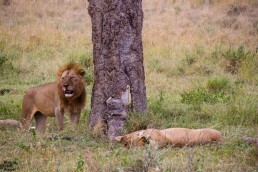 In Tanzania, the hunted lions roam free in the wilderness. The land reserved for sport hunting, 95 000 square miles, is five times greater than that of national parks and protected reserves. 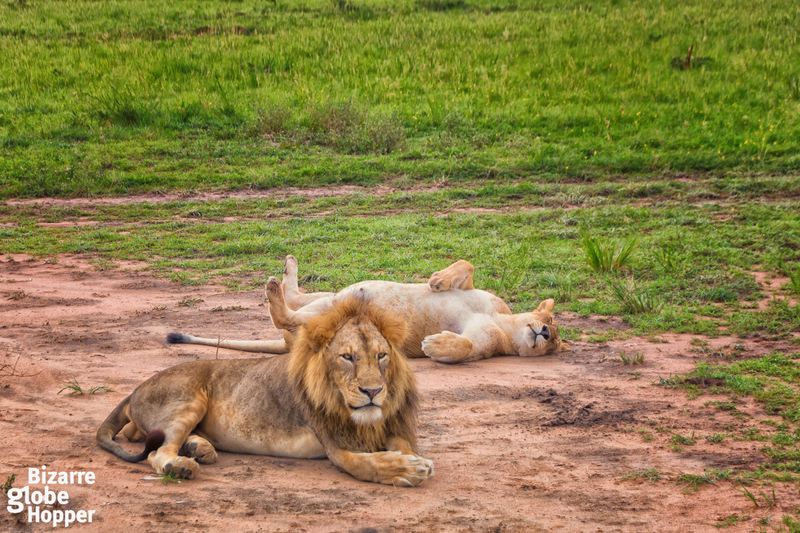 Some conservationists claim that hunting supports lion populations since the land would otherwise be used for farming or other purposes, which might hurt wildlife even more. Still in Tanzania, the trophy hunting is the primary reason for steep drops in lion populations outside protected reserves. The aftermath of sport hunting weights even more than just the trophy lions. Hunters prefer the biggest trophies available, the dominant males. When an alpha male is killed, lions fight for dominance killing the cubs and females protecting them. Tanzania has lost so many dominant males during the recent years that the hunters are now killing maneless lions, which is an alarming sign for the whole business. Hunters are after the biggest trophies; if they go home with smaller ones, the proper trophy lions might not be available. Trophy hunting is said to be the prime reason for the drop in dominant male numbers. 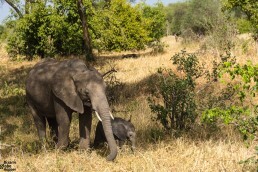 Tanzania has lost 60 % of its elephants in just five years of ferocious poaching, mainly in the Selous area. Albeit lion poaching luckily isn’t that big, also the lions are threatened by the growing interest in Chinese medicines using lion claws and teeth. 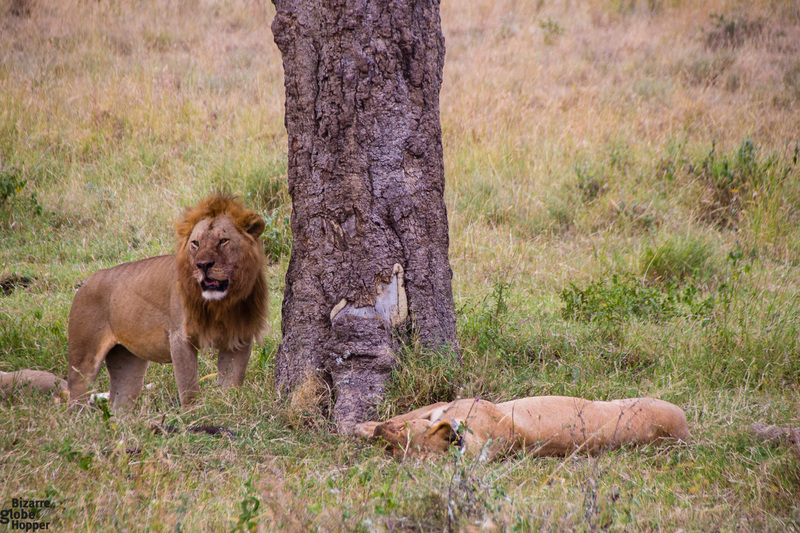 Some claim that the lion poaching has become larger in Tanzania during the recent years. When Cecil the Lion was lured outside of a national park to be killed in last July, the great masses uproared. And fortunately, the debate around Cecil’s death aroused some good news. France showed the way by banning the lion trophies in last November. Obama administration followed, setting lions under Endangered Species Act in December. From now on, Central and West African lions are classified as endangered, whereas Southern and East African lions are listed as threatened. Sadly, trophies from South and East Africa can still be imported to States, if the killings were legal. Since trophy hunting happens mainly in Southern and Eastern Africa, the classifications should have been more strict. In my opinion, the act seems disturbingly cosmetic, because the protected lion populations in West and Central Africa are already nearly extinct. Also,the UK has renounced to ban trophies if the hunting industry doesn’t mend its ways. So the situation is getting a slightly better, though not exactly optimal. At least, the kill of Cecil startled the conversation. Now is time to act. Would Fencing be a Solution? There has been a lot of discussion about fencing the national parks, and the both parties have strong arguments. 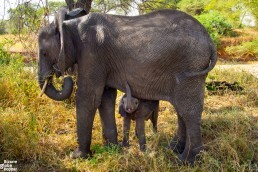 Big cats are threatening humans, killing cattle and pets; while elephants are trampling crops. When cattle enter protected lands, the habitat for wildlife narrows down. Still fences would disrupt the natural flow of animals shutting down ancient wildlife corridors.  The latest natural solution is a ”bee fence” that is tested near Ngorongoro area. I’m hoping these kinds of innovations would ease the human-wildlife conflict and eliminate the need for physical fences. African Wildlife Foundation’s clever initiative in Maasai Steppe Heartland aims to prevent lion-human conflicts, thus reducing lion kills. The area is home to the national parks of Tarangire and Lake Manyara along with the cluster of Maasai pastoralist communities. According to its name, ”Maasai Steppe Predator-Proof Bomas” helps local herders to build enclosures (bomas), where livestock remain protected from the predators at night. 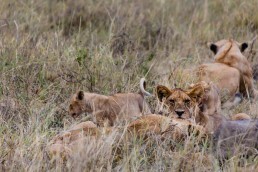 The livestock kills have been reduced tremendously, which has brought down the retaliation kills of lions. The big question is, how each and every one of us could help the lion population of East Africa? First of all, raising awareness and showing your side helps. If you are going to a safari, choose a safari company who is openly fighting against poaching. There are also a lot of organisations doing miracles, such as African Wildlife Foundation, Serengeti Watch, and African Wildlife Trust. 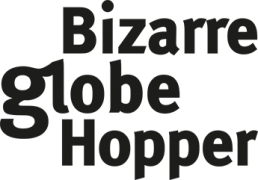 They happily accept donations, though there are also other ways of supporting their work, and the membership of Serengeti Watch is free. When I heard what happened to Cecil the Lion I was outraged! I had to do something to make the world aware that this should never happen again to another mighty animal! Please help my new Animal Rights tribute song to Cecil “The Ballad of Cecil the Lion” go viral around the world!